Supports the United States Air Force in 15 states and 22 Air/Joint Bases by providing qualified clinical (master’s degree) social workers, U.S. licensed registered nurses, and Family Advocacy Program (FAP) staff personnel to enhance Air Force readiness by promoting family and community health and resilience. 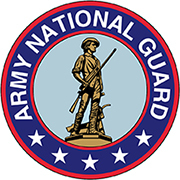 Supports the states of Michigan, Delaware and Georgia to provide behavioral health consultation services for Army National Guard service members (SM) and their families, thereby promoting mental fitness and personal wellness for operational readiness and reintegration to civilian life. Supports the Museum's activities to participate in and promote the awareness of consultation, education, and research activities between the military and civilian medical communities. Provides expert IT support to the Travel Program of the United States Army, both CONUS and OCONUS.